Trying to detach pages of history connected to the existence of Neamt Monastery and of its Theological Seminary „Veniamin Costachi” we notice that the characteristic of the monastic life was always woven to new activities embodied in church schools, sanatoriums for old people, drug stores and printing houses. The care for instruction and education was among the constant preoccupations even fromearly XVth century when there was nearby the Monastery a school where many texts have been copied. The system of education in the XVth century was typical for the school of rhetoric, schools of cloister, directed by initiated fathers who were teaching the brothers designated by the starets of the Monastery . We cannot talk about a systematic education (with planning, a veritable didactical teaching group, with catalogues or other forms of didactical survey)- it’s only in the XIXth century that we can speak of it. The XVI, XVII, XVIIIth century had been concealed in regards of education by the difficult moments of Moldavian history. However, the XVIIIth century was enlightened by the activity of the most famous school of translation Moldavia ever had, that is, the School of the Starets Paisius Velicikovsky who, coming from Mount Athos with a rich Patristic Library, initiated the well-known philokalic movement, very close in conceptionto its correspondent movement of refreshment of Father Nikodem the Agiorit, the author of the Greek Philokaly. St Paisius Velicikovsky with his disciples Isaac the Deacon and Hilary the Deacon who were among the best, undertook the task of translating most of the ascetic works which existed in Greek language, both in Romanian and Slavonic, so that the Romanians were the first orthodox people having the Philokaly in their own language. The old printing machine of the Monastery belonged to this golden period of the New Eastern Hesychasm, which meant the renewal of monastic and ascetic life in the area, in a period where God was”banished” in Occidental Europe by the rationalism of Enlightenment. The hesychasm of St. Paisius Velicikovsky influenced the renewal of the Christian spirituality in the entire Eastern Europe. The Starets Zosima in Dostoievsky’s Karamazhoff Brothers is a figure created according to the ascetic ideal imposed by Father Paisius Velicikovsky. Although it was question of Father Hillary’s school in 1821, of the school of Father Neonil in 1834, a really theological school took birth only in 1843, that is, the Spiritual School of Father Neonil which functioned by 1848. At the insistent demands of the brothers (Philaret and Neofit) and desire of the group of the Moanstery of Neamt and to the recommendation of the Mitropolit Sophron Miclescu, the Voivode Gregory Ghica in March 1855, acknowledged the opening of a Seminar at the Neamt Monastery. After the closing of the seminar in the 1864, it followed a period (1864-1870) when it functioned in the Monastery a Primary school with four forms, while after 1870, the scholar activity continued only with the old cloister school; there was the permanent request of the reinstitution, if not of a higher educational school, at least of a rural school, for the moment. At 25 May 1901 it was confirmed the opening of a school for the teaching of the church chants and in 1912 the Metropolitan Cathedral of Moldavia agreed the foundation of a Monastic Seminary which did not functioned because of the lack of funds. After the World War I in 1922 the Monastery of Neamt tried the reopening of a Seminar for monks, butit did not obtained except for the approval for a monastic school. The innumerable interventions after 1922 had as result the foundation of a Monastic Seminar at the 15th of October 1925. Although the scholar results were encouraging and the Seminary was functioning in good conditions, troubles and quarrels determined again its closing (1928). Nevertheless, in 1927 a school of church singers with four forms was functioning even after the closing of the seminary. In 1949, in February, it was approved the reopening of the Seminary for the monks closed again in July 1952 after an activity as a section nearby the school of church singers, having also sections for the practical training: printing stuff, painting, sculpture, and potery. Beginning with 1 September 1952 the schools of church singers of Suceava and Roman had been certified and transferred to Neamt Monastery functioning as a school of the Metropoly of Suceava and Moldavia. It functions ever since incessantly as a seminary while the school of church singers functioned only periodically. 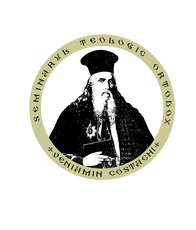 , the Seminary of Neamt Monastery became, against all kind of oppositions of the communist ideology, one of the most valuable school of theology in Romania. At the moment, the school is functioning with a number of 359 pupils among which 161 are at the Seminary (full-time education), 47 pupils part-time education, 84 pupils in evening courses, and 67 at the Church Singers section. A number of 21 teachers is working for the education of this young people. The School is now under the cover of the Archbishopric of Iassi, being counted among the schools of middle level in the framework of the National Education Minister, still confronting, however, with material problems.